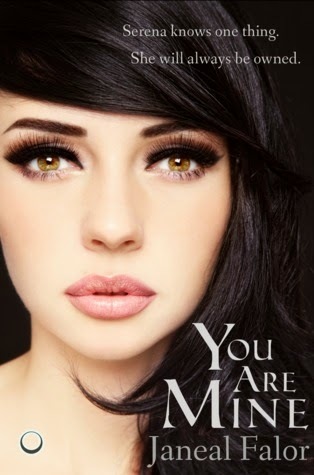 I'd like to welcome Lauren, a new reviewer to Once Upon a YA Book & Kimber Leigh Writes, with her review of You Are Mine! Serena knows a few simple things. She will always be owned by a warlock. She will never have freedom. She will always do what her warlock wishes, regardless of how inane, frivolous, or cruel it is. And if she doesn’t follow the rules, she will be tarnished. Spelled to be bald, inked, and barren for the rest of her life—worth less than the shadow she casts. Then her ownership is won by a barbarian from another country. With the uncertainty that comes from belonging to a new warlock, Serena questions if being tarnished is really worse than being owned by a barbarian, and tempts fate by breaking the rules. When he looks the other way instead of punishing her, she discovers a new world. The more she ventures into the forbidden, the more she learns of love and a freedom just out of reach. Serena longs for both. But in a society where women are only ever property, hoping for more could be deadly. When I first began this book I was a little wary about the premise of the story, mainly because the society in which the main character Serena grows up in is so backwards in their ways of thinking. Serena is a girl living under the complete control of her father who is a powerful warlock. All women as far as Serena knows are treated similarly and have to endure daily torture such as beatings and hexes. Essentially the only thing women are good for in this society is the amount of magic in their blood, which can lead to increasingly powerful warlock children being born. However, after I got through the first few chapters, I was hooked! Janael does an excellent job of setting up the circumstances and things that not only Serena but all of the women have to endure in Chardonia and then bringing the heroine forth. It is extremely well written and throughout the novel Janael doesn’t give too much away and continually keeps you reading for more. I fell in love with all of the main characters in this novel and I can’t wait to not only read the second book in this series, but also see what else she comes out with. This was a new refreshing take on both the paranormal romance and dystopian society genre. Enjoy! So many people love this book but when I read it, it was just okay for me. I haven't read it yet, but it's been on my TBR for a while now. I have a tendency to be disappointed in books that others have raved about. I try not to look at reviews too closely before reading a book since I don't want them to influence me at all.